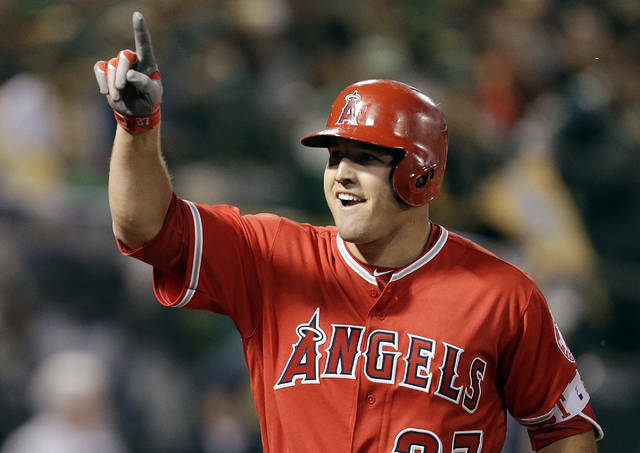 ANAHEIM, Calif. (AP) — Mike Trout and the Los Angeles Angels on Wednesday night announced their 12-year contract, a record deal that ties baseball’s top player to the Orange County club for what likely will be the rest of his career. A person with knowledge of the contract told The Associated Press on Tuesday that the deal is worth $432 million, shattering baseball’s previous high set when Bryce Harper and Philadelphia struck a $330 million, 13-year agreement earlier in spring training. The person spoke on condition of anonymity because the deal had not yet been finalized.